When Paul Pogba transferred to Manchester United last summer, the team expected to pay top dollar for the versatile midfielder. They didn't know they'd also be paying his agent a hefty salary, too. Thanks to a clause in Pogba's contract, his agent, Mino Raiola, stands to make up to $53 million. That's on top of the $29.8 million he earned in agent fees from Pogba's transfer. Scoring nearly $83 million from one player, not bad at all! So, just who is Raiola? And how has he managed to broker one of the most impressive contracts in any sport? An Italian-born Dutchman, Raiola helped his father run the family restaurant, which eventually became 25 restaurants. Raiola served as the consultant for the chain, negotiating and organizing with customers and suppliers. He credits his time working in the restaurant to his lucrative career as an agent. Raiola also played youth football for HFC Haarlem in the Netherlands. However, he soon wanted to run the team instead of play for it, so he took charge of the under-18 side despite being only 18 years old himself at the time. By his 25th birthday, he was working for soccer agency Sports Promotion, brokering large transfers throughout the early 1990s. Though he speaks eight languages, Raiola credits his preparation more than his linguistic skills for his success. He now represents the contracts of a whopping 51 athletes worth a combined $356.3 million. Outside of Pogba, he also represents Everton, striker Romelu Lukaku, Nice's Mario Balotelli, and Pogba's Man U teammates, Zlatan Ibrahimovic and Henrikh Mkhitaryan. Raiola doesn't give many interviews, but in a chat with the Financial Times last year, he said he considers his players to be like family. Pogba has posted pictures on Instagram that include Raiola, and Ibrahimovic believes Raiola's tough love improved him as a player. Ibrahimovic also feels comfortable joking with his agent, telling him that if Pogba transferred anywhere besides Manchester United, he'd break Raiola's legs. While his players seem fond of him, Raiola certainly has his fair share of rivals. Perhaps upset that Raiola had snared Pogba in 2012 and brought him to Juventus, Sir Alex Ferguson called him a four-letter word that starts and ends with "t." Ferguson was the former manager of Manchester United and was likely irritated that Raiola had poached a star player. This summer looks like another busy off season for Raiola. Ibrahimovic and Balotelli's deals are expiring, and another player he represents, Everton's Romelo Lukaku, is looking to transfer. Raiola, who's said he aims to solve any problems his players have "like a father does," could make several more millions of dollars. 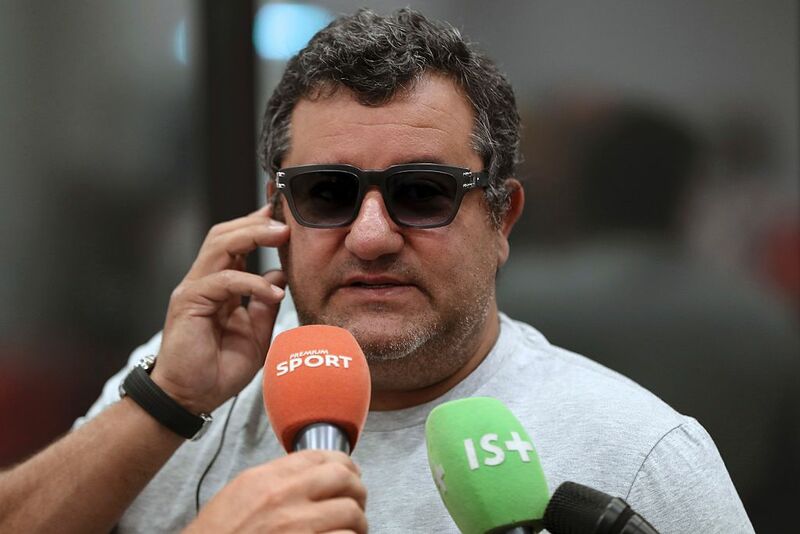 And though he dresses like any regular guy you'd pass on the street, Raiola enjoys living in excess. He lives among the yachts in Monaco and allegedly used some of his proceeds from Pogba's transfer to buy the Miami villa Al Capone once owned. We'll see if he adds any properties to his portfolio after this summer.